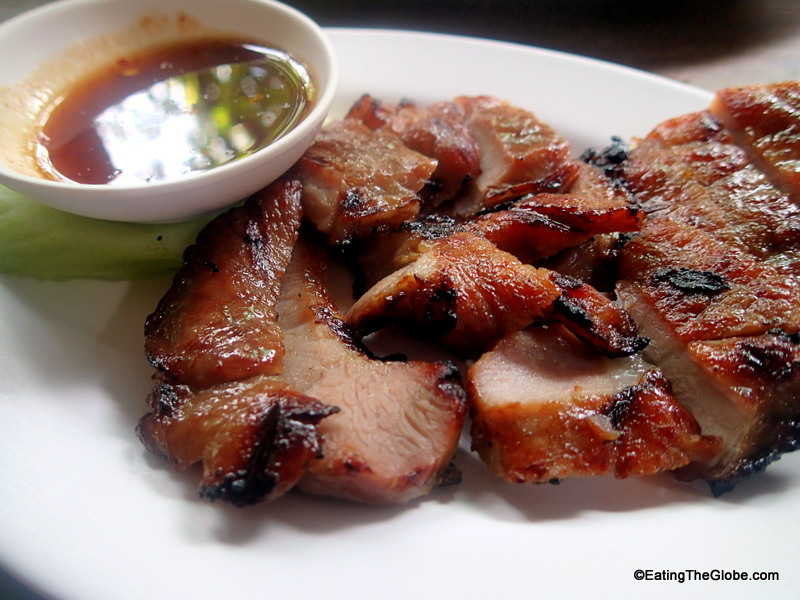 Kai Yang Nong Krob or grilled chicken is one of my favorite Thai dishes, and no one does it better than Cherng Doi. 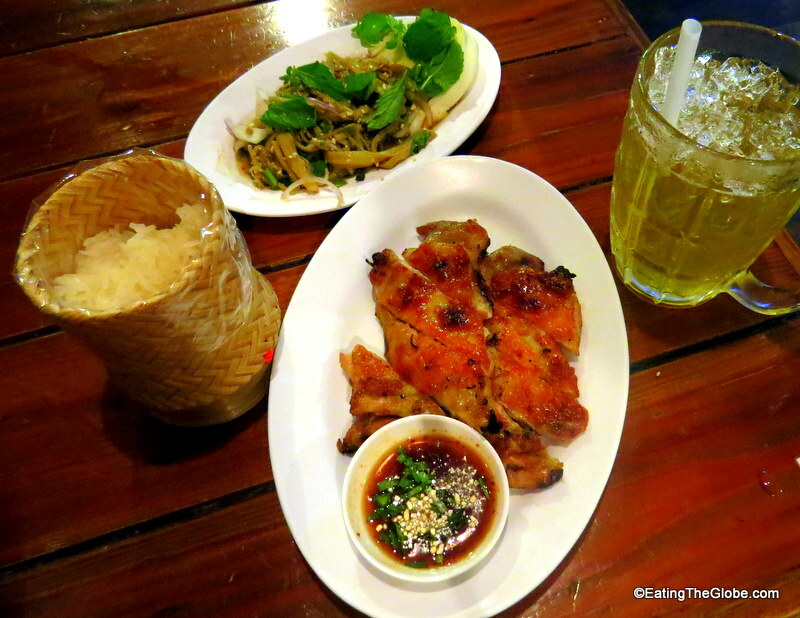 Cherng Doi definitely has the best grilled chicken in Chiang Mai. I know some authorities such as Andy Ricker would disagree with me, but I think Cherng Doi is even better than the infamous SP Chicken. Don’t get me wrong, SP Chicken is good, it’s really good, but Cherng Doi has managed to make a good thing even better. Whereas, SP cooks small whole chickens on a rotisserie, Cherng Doi cooks their chicken directly on the grill, so you get that nice smoky flavor from the grill and skin that’s perfectly crispy. The chicken is succulent and full of flavor. I also like the fact that Cherng Doi serves their chicken boneless (only the breasts are used), and the tamarind dipping sauce with its sour candy flavor makes the mouth-watering chicken even more delicious. 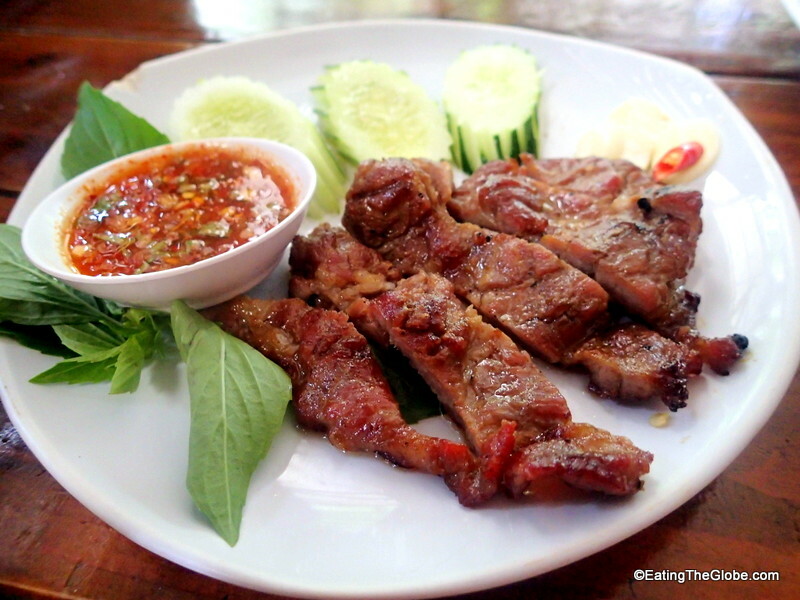 They also serve “oh-my-god” good juicy grilled pork steak and shoulder that’s served with Jaew chili sauce. Cherng Doi specializes in the holy trinity of Thai cooking: grilled chicken, som tum (green papaya salad), and sticky rice. Only, they don’t just do the traditional version of som tum. They have many variations of it. So far, I’ve sampled the bamboo shoot version, the traditional version. 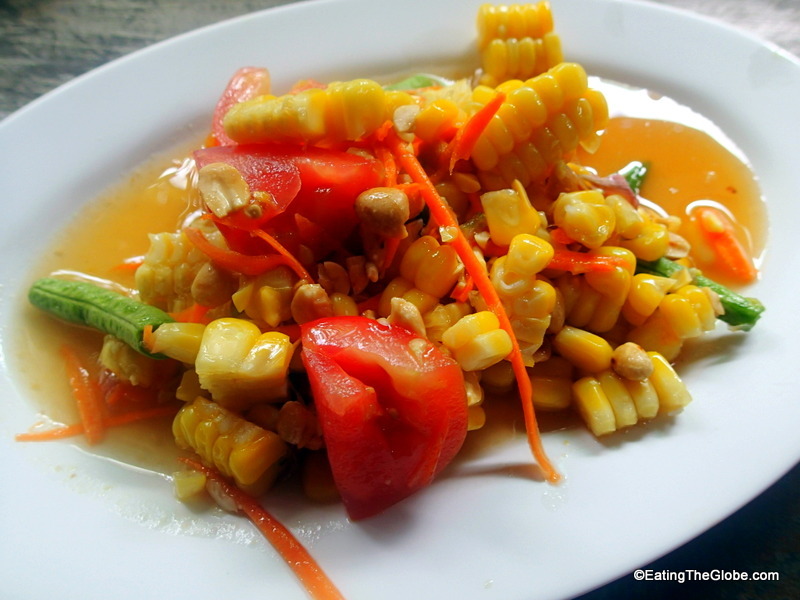 and the version that’s made with sweet corn. They have all been excellent with the perfect level of spiciness and vibrant flavors. Their salads are fresher than any other versions I’ve tried around Chiang Mai. They also have a fruit version which I can’t wait to try next. Cherng Doi is the restaurant that I’ve visited the most in Chiang Mai, and I’m slowly making my way through the menu to try the other things they offer, too. They have a great menu in English with pictures and descriptions, so you know what you are ordering. 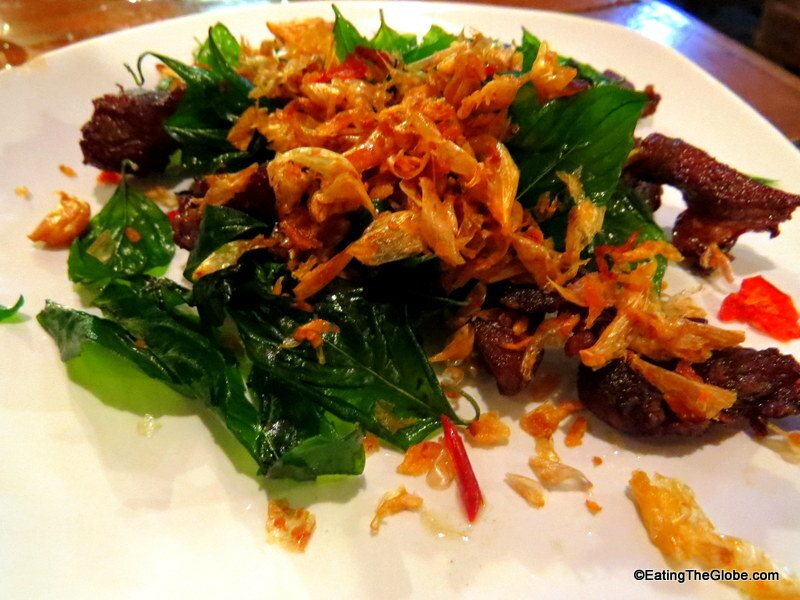 I’ve tasted the kor mhoo ho ra pha krob which is stir-fried crispy pork with Thai basil leaves, chili, and garlic. It was good, but not as swoon-worthy as the grilled chicken or pork. Cherng Doi also offers chrysanthemum tea, cha manao (lemon tea), syrupy sweet Thai iced tea, and Thai iced coffee to drink. Whatever you do, don’t miss the coconut ice cream for dessert. It’s the perfect ending to a dinner like this. The jungle garden setting of Cherng Doi makes for a nice setting, just don’t forget to bring some mosquito spray. But, it’s a nice step up to be able to get some great local food and not sit at plastic tables on plastic chairs. 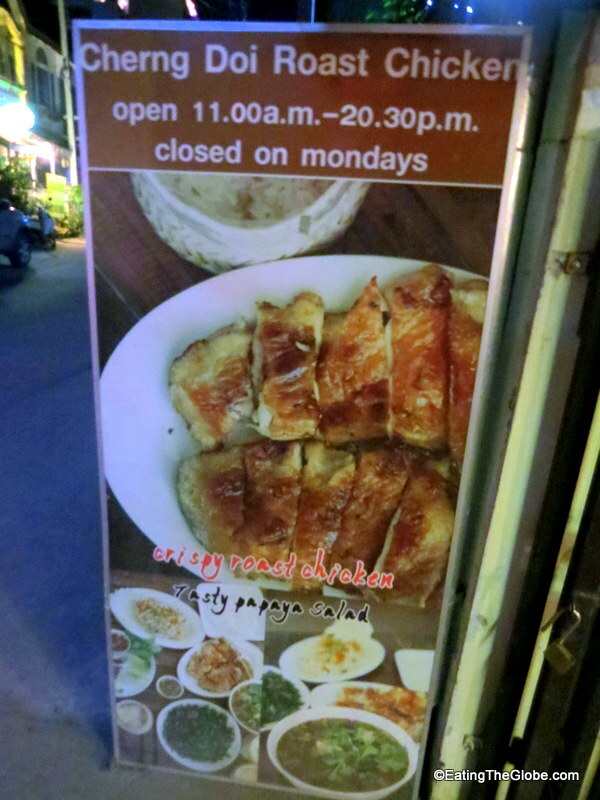 The prices are very reasonable with the chicken and pork steaks being 60 baht ($2 USD. 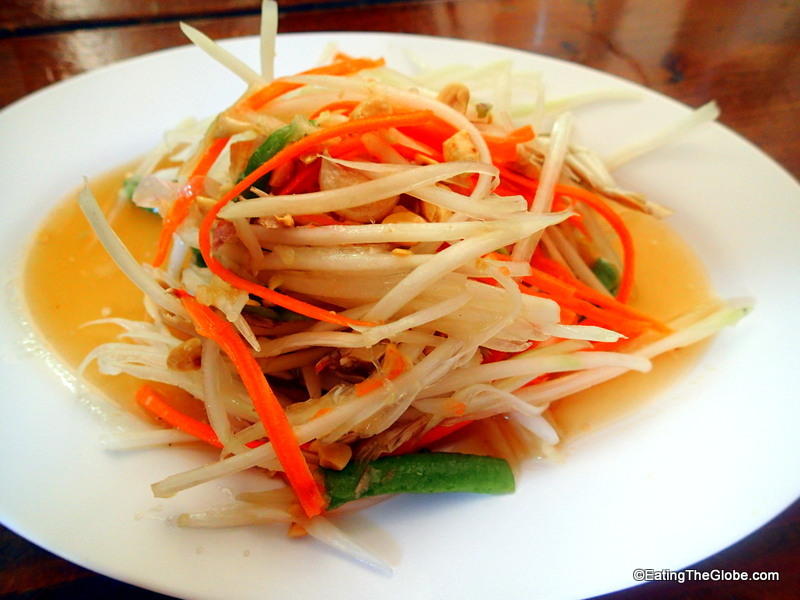 ), and the som tum at 40 baht. 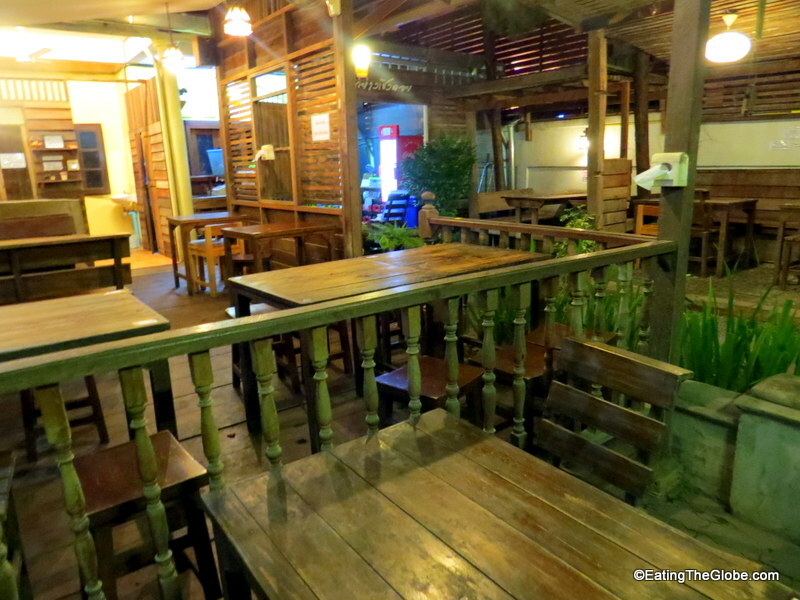 You won’t spend much to have an enjoyable meal at Cherng Doi. 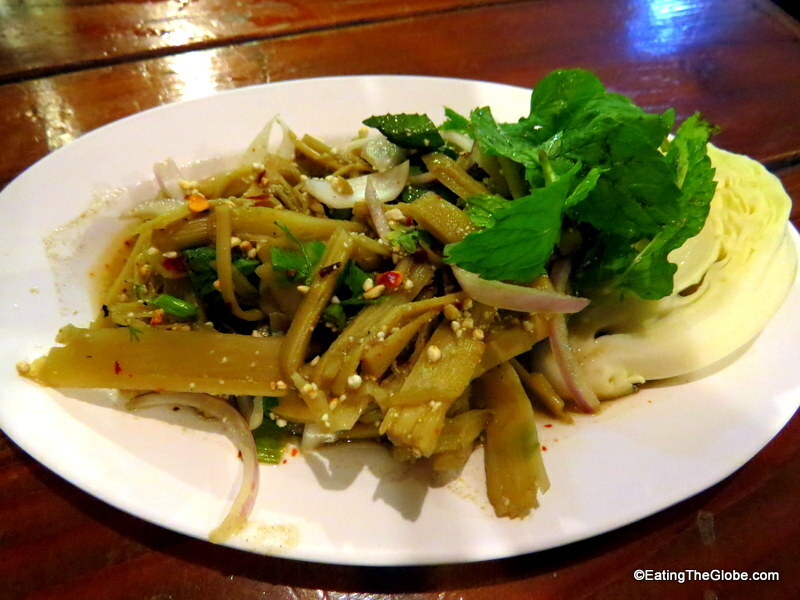 Cherng Doi is located on Soi Suk Kasem, just off Nimmanhaemin Road between Soi 2 and Soi 4. They are open every day except Mondays from 11am-8:30pm. 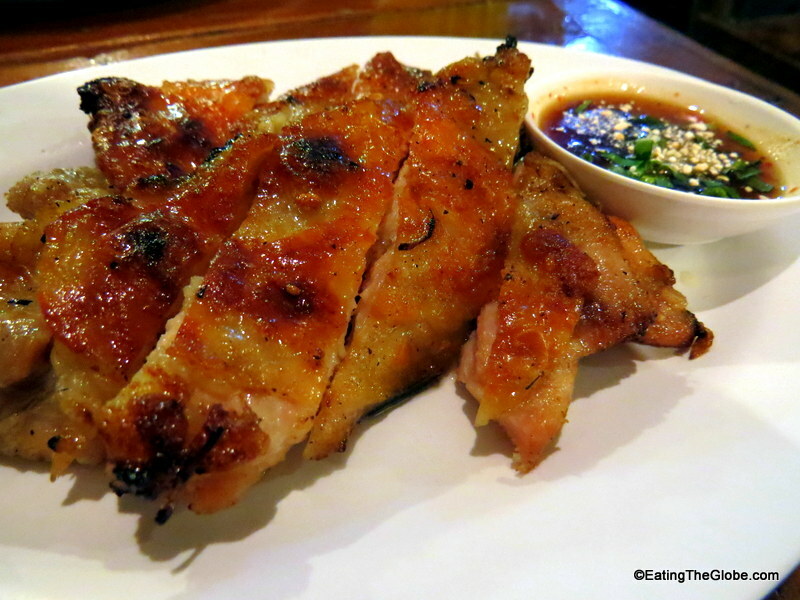 11 Responses to "The Best Grilled Chicken In Chiang Mai At Cherng Doi"
Thanks for the tip. It seems to be a great place and the grilled chicken with Tamarind sauce looks to kill for. Thanks for the tip – we visited last night and it was amazing! I am so glad to hear you enjoyed it! The food looks amazing, and I love the jungle layout of the restaurant! Thanks for sharing your review! Yes, Mary, it’s an awesome place. My favorite yet in Chiang Mai! Oh man. That chicken looks incredible, it’s barely 10am in the UK here and it’s actually making me hungry! Might be a sign I should go and eat some breakfast. It seems to be a great place for fast food and the grilled chicken with Tamarind sauce looks to kill for. I absolutely love Cherng Doi. One of my favourite spots, I tend to go there at least once a week. I like it that much that I decided to put up a post about it on my travel blog.